Woollim Entertainment’s latest group Golden Child has made their first comeback five months after debut. The boys are back with their second mini-album 기적 (Miracle) and title track “너라고 (It’s U),” a youthful dance track that expresses the struggle of high school love. “너라고 (It’s U)” has a different vibe and sound from their debut song “담다디 (DamDaDi),” which has higher energy. The members of Golden Child still maintain their schoolboy image but have a more toned-down dance sound. The music video is reminiscent of SEVENTEEN’s “Mansae” concept. For the noona fans (like yours truly), the schoolboy concept is either still a favorite, or it just makes you feel incredibly old. As time goes on, I’ve definitely found myself in the latter category and have been a little more put-off by the youth concepts in recent years. Once you get old enough to see high schoolers as toddlers, the schoolboy thing starts to become a little creepy. However, that doesn’t mean that “너라고 (It’s U)” is not valid as a title track. The chorus is particularly catchy, with an overall EDM dance beat that is very addicting. The key change in the last verse is an awesome addition to a song that could have been too repetitive. It’s a musical technique that isn’t utilized as often as it should be, especially in K-Pop. That key change is what sold me on the song. The boys slow it down with second-to-last “모든 날 (All Day),” a sweet ballad that warms your heart with soft and harmonious vocals. The rap is also honey-smooth, making the track an all-around great choice on the soft side. 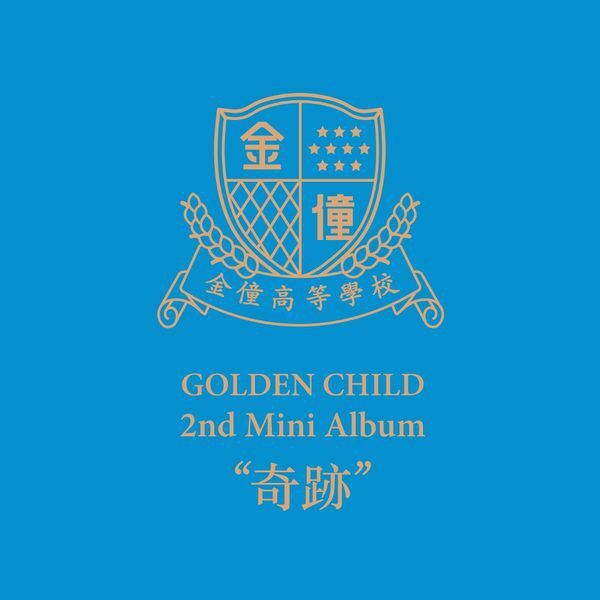 The album wraps up with “I’m Falling,” a cooler standard pop track that mixes the high energy of the title track with the softness of “모든 날 (All Day),” rounding out the sound of the album itself. 기적 (Miracle) is a solid release from the group who seems to have had trouble breaking out in the market with the concepts and sounds they’ve gone for thus far. In a boy group industry saturated with talent, it can be difficult to find a way to stand out from the crowd, especially when concept formulas don’t change. Golden Child is no doubt full of talented members who deserve their time in the spotlight, but Woollim might need to do a better job at diversifying their releases so they can gain more attention.